As part of the show I am doing an old favourite workshop of mine that is designing, measuring and making a pair of leggings from scratch using Jersey fabrics. 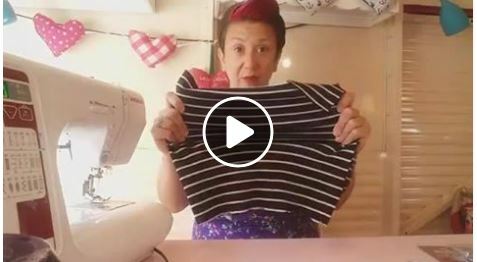 In these LIVE Videos below I am talking about how we get all prepared and set up for using stretch! We will need the Walking foot (or ‘even feed’ foot) – I show you how to put this on to your machine! Previous post: #sewingtour Scotland, a Holiday in Crete then more sewing in Stockton!